(Bloomberg) -- Investors controlling more than $10 trillion in assets have asked the world’s top mining companies to disclose how they manage their waste storage facilities as part of the response to Vale SA’s fatal dam disaster. A letter, signed by 96 investment groups led by the Church of England Pensions Board and the Swedish Council of Ethics, demanded chief executive officers or chairs sign off on the disclosures within 45 days, certifying that they are accurate. 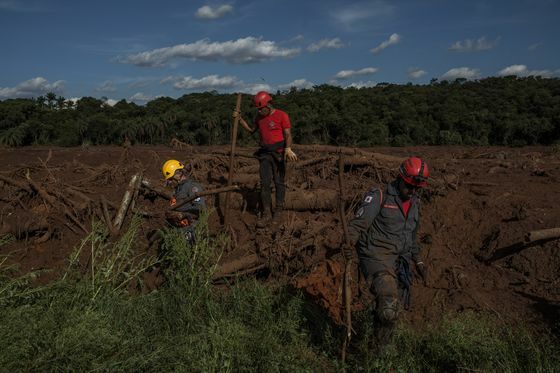 The request comes after the Brumadinho dam failure in Brazil in January that killed hundreds of people. “This disclosure is urgent and essential for investors to be able to understand how your company manages tailings facilities and any associated risks,” investors said in the letter. Tailings are leftovers generated when marketable material is extracted from the ground and are often stored behind dams. An investor roundtable on mining and tailings safety was held in London last month and included presentations from leading experts that left investors “deeply concerned,” according to the letter, which was sent to 683 companies.